Will somebody please buy Papa John’s? The extensive troubles of pizza chain Papa John’s continue: The Louisville Courier Journal notes that according to the Wall Street Journal, “Trian Fund Management LP had withdrawn from pursuing a potential purchase, which sent the company’s stock into a 7-point tailspin,” a drop it could ill afford. The chain has been searching for a buyer since August, to no avail. It’s only the latest in a string of bad news that appears to have greeted the chain since the controversies associated with John Schnatter, its founder and namesake. Schnatter received criticism after he criticized the NFL over the national anthem controversy about a year ago. Then in July, Forbes reported that Schnatter used a racial slur during a marketing phone call. He subsequently apologized and resigned as chairman of the board—then almost immediately regretted resigning, entering into various court fights to try to regain control of his former company, to no avail so far. 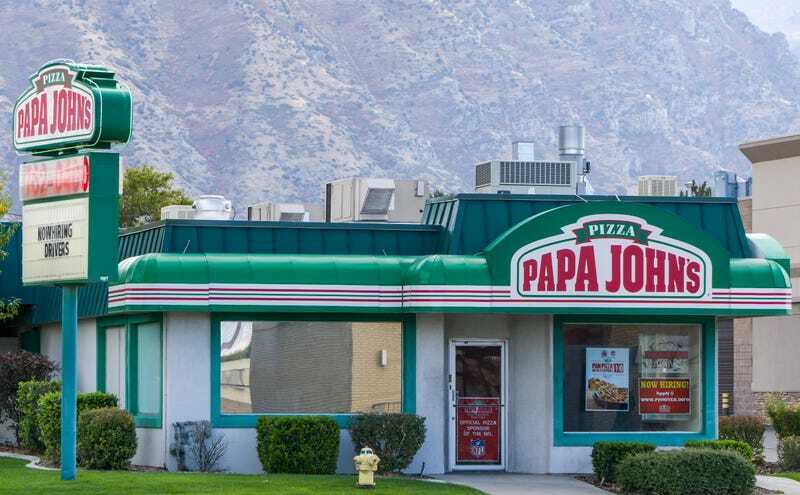 Due to this avalanche of bad press, sales are down and Papa John’s franchisees are struggling, and the chain is offering them additional financial help like royalty reductions and additional advertising budgets until the chain is on firm footing again.